On Monday, a group of private schools in Pakistan held an “I am not Malala” day denouncing what it called Malala Yousafzai's support of Salman Rushdie. According to Huffington Post, the All Pakistan Private Schools Federation held walks, seminars and press conferences in opposition of the 17-year-old Nobel Peace Prize winner. The organization feels really strongly against Malala — last year, it prohibited its members from buying Malala's memoir about her life in Pakistan under Taliban rule, claiming it held "anti-Pakistan and anti-Islam content." 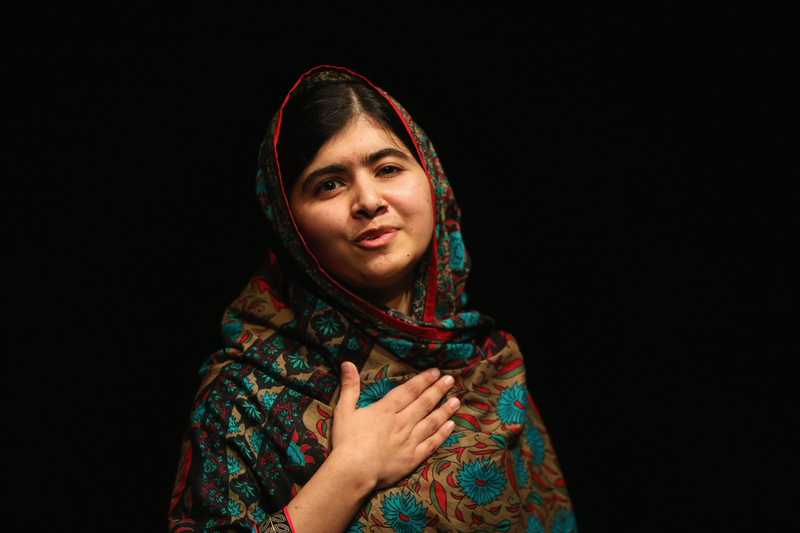 The book, “I am Malala,” it said, was too sympathetic to Rushdie. Their beef with Rushdie (and by extension, Malala) stems from the famed novelist's book, The Satanic Verses, which in 1988 won the Whitbread Awards, one of the UK's most prestigious literary recognitions. A year after the award was given out, Rushdie, who is British Indian, became the target of an Iranian fatwa calling for his murder for blaspheming Islam and the Prophet Mohammed in the novel. [It was] clear that Malala has nexus with Salman Rushdie and Taslima Nasrin, and also has alignment with Salman Rushdie's ideological club. We severely condemned the chapter of the book in which Salman Rushdie?s book has been mentioned as freedom of expression by Malala while referring to father's views. My father also saw the book as offensive to Islam but believes strongly in freedom of speech... Is Islam such a weak religion that it cannot tolerate a book written against it? Not my Islam! Apparently, her incredibly level-headed and mature statement warranted an entire anti-Malala movement, which, if you ask me, is really making a mountain out of... literally nothing at all. Pakistan is infamous for its Blasphemy Law, doling out the death sentence for anything authorities consider blasphemous or disrespectful toward Islam. Among devout extremists, blasphemy provokes cruel and horrendous “punishments.” A week ago, a man in the city of Gujrat was beaten up for allegedly making derogatory remarks about the Prophet Mohammad, and then taken into custody, where a police officer then hacked him to death. Malala, who was shot in the head by the Taliban for championing education for girls, has been hailed by the international community as the courageous face of the movement against the terrorist organization. But she has not always been embraced by her fellow Pakistanis, some of whom accuse her of being an agent of the West.